“It sickens me the way this company is encroaching upon trusted news brands in rural markets,” said one local reporter. 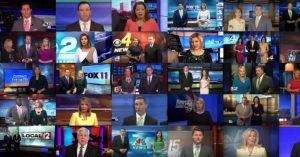 Journalists and corporate watchdogs reacted with alarm when it was reported last month that the right-wing media giant Sinclair Broadcast Group was planning to force local news anchors to read from a script denouncing “fake” and “false” news stories in a distinctly Trumpian fashion. But this horror was amplified after Deadspin compiled a video this weekend of what the company’s “dangerous” proposal actually looks like in practice. Speaking to CNN on Sunday, Sinclair employees and local reporters said they are deeply concerned about the right-wing ideological bent being foisted upon television stations across the United States by the massive media company. “It sickens me the way this company is encroaching upon trusted news brands in rural markets,” one reporter told CNN on the condition of anonymity, fearing retaliation from Sinclair’s management. “I feel bad because they’re seeing these people they’ve trusted for decades tell them things they know are essentially propaganda,” added a local anchor. 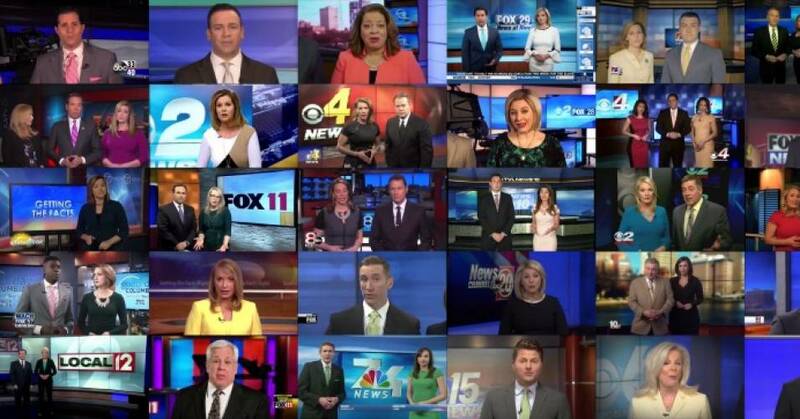 Owned by a family of ultra-conservative millionaires, Sinclair currently operates nearly 200 news stations nationwide—and is pushing for even more control of local outlets, with help from the GOP-controlled FCC. If Sinclair’s acquisition of Tribune Media is ultimately approved, the company will own enough stations to reach an estimated 70 percent of American households, sparking concerns that pro-Trump propaganda could begin to dominate local news. “I try everyday to do fair, local stories, some Trump-related, but it’s always washed out by this stuff they do at a national level,” said one local reporter.